The original “Badass Chick”. Some call him an angry chick, some call him a chick with attitude. Either way, he is sure to bring a smile to your face. 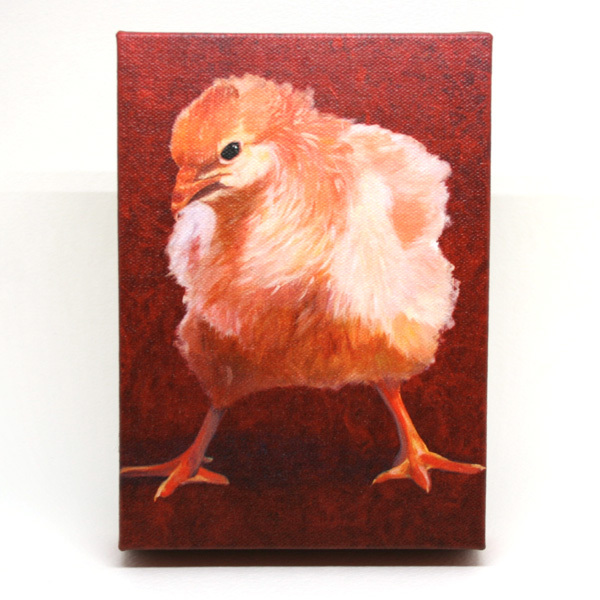 This high quality Giclee (ink) print is on a stretched canvas. It has an acrylic UV coating on the top, but should be hung out of direct sunlight. This canvas has red sides and is ready to hang! We love Badass Chick so much, that we also bought a Badass Chick number two! It looks great, and is A beautiful print. Thank you Darcy!